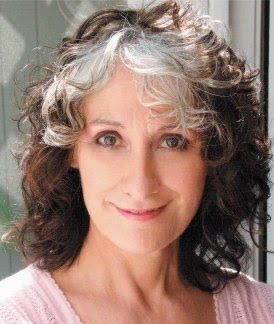 Actress/playwright Kres Mersky’s solo plays include Isadora Duncan: A Unique Recital (currently touring the West Coast and Canada) and At The Codfish Ball. Her full-length, full-cast plays include Algerian Romance and Flag Day. She has also written numerous one acts. She has appeared extensively on stage, screen and television, and is a member of the prestigious stage company Theatre West. Mersky’s newly revised solo play The Life and Times of A. Einstein will open at Theatre West on April 10. In our talk, she discusses the play and what drew her to Einstein among other theatrical interests. Q: When and how did The Life and Times of A. Einstein begin? It’s interesting…this show has had a couple of different versions. The first version was in the 80s as a four character piece. Einstein wasn’t a character in it. It was sort of this play within a play, a high concept idea I had. It was a great idea that didn’t fully work. Over the years people were always so interested in the secretary character…I would put it away, come back to it…it eventually evolved into the one character piece with the secretary. I was always interested in Einstein like a lot of folks- just fascinated by this iconic man and just that face alone…stops you. Q: So, you were not a science major in college or someone with a tremendous scientific curiosity? Not at all. When I think back on it, it was more of an unconscious attraction initially. But, after a lot of reading about him and his life, trying to understand his work, which I don’t really…only to a small degree, I think it was the man’s amazing courage to be able to think in a new way, think differently about some of the basic principles of science that he rejected in order to find the Theory of Relativity. It took enormous courage and belief in himself, the ability…the courage to not be afraid to go against the ingrained accepted theories of Newtonian physics…the Newtonian mechanical principles of nature. I think it was that courage to go his own way that I related to, there being a kind of maverick and not really caring what people thought. All of this was attracting me more than I knew. Q: What is the secretary’s real name? The real secretary’s name is Helen Dukas. I renamed her Ellen. I was thinking, What can I do theatrically on Einstein? What would be interesting? …Something that I would also like to perform in. I began reading different biographies, and the secretary was always mentioned. They didn’t go into her life at all… “and his stalwart secretary Helen Dukas…” She was 17 years old when she came to work for him and moved in with them. She wasn’t just someone who came to work every day. She became a part of the family and stayed there for the rest of her life into the 80s. Einstein died in the 50s, but she stayed in the house in Princeton, New Jersey and managed his estate until her own death. What an interesting character! Q: But, in the books you read, they never gave you an idea about her character other than the fact that she was loyal? No. I thought, if I’m going to make this about Einstein through the secretary, I have to imagine a life for this woman, her conflicts, and her own feelings and emotional life. That’s how the piece evolved. Q: It had to be challenging, because you were starting from the ground up! It was. I took the bare facts and extrapolated on them as a writer. I did my own ‘psychologizing’. She was a German Jewish woman. I wondered why she spoke English, because Einstein didn’t speak English when he came to this country. I imagined that she worked for a publisher who translated material…I just made that up. Not very long ago I found out that indeed she was a secretary for a publisher who printed in English. Q: Quite an intelligent guess! A little spooky moment! I really channeled that woman! I got a kick out of that. Einstein’s son who was a mechanical engineer and taught at UC Berkeley believed that they had an affair at one time. There is other material out now that is suggestive of that. Even before that I had suggested it in the piece, but I didn’t want to make that a major issue in the story. Q: Tell us about the structure of the play. I was over in Pasadena at the second largest Einstein archives at Cal Tech. I came upon a little newspaper article, it was 1945…it said: Today is Albert Einstein’s birthday; he will be celebrating quietly with his friends; there will be no press conference…and I thought, “Oh! I like that, it’s his birthday and he has decided to give a press conference”…and that became the premise. He’s just arrived in the United States from Germany, he’s settling in Princeton, New Jersey; they’ve been here about a month and he’s in an interview. He was always hounded by the press. He was a huge celebrity. No other scientist ever captured the public imagination like he did. It’s an interview he’s granting to actually discuss matters in Europe: he would like our government to get more involved with helping Jews get assistance in getting out of Nazi Germany. Though the premise was really to say hello…and get the press off his back. He’s late in arriving, so the secretary is sort of filling in until he gets there. But…he never gets there. She fields questions, and it gets more complicated trying to explain his theories, and then in her own funny way she gets caught up in her own personal memories and frustrations of trying to run this household. Time changes during the piece and you go to two other press conferences. It goes through about 25 years, so it’s a little time travel piece in one act. Q: Where did you do the original piece? In 1982 or 83, in its four character state here at Theatre West. Then I rewrote it and it was done at Taper Too at the John Anson Ford Theatre. After that, I put it away for a long, long time. In the late 90s I revisited it…people were always saying “this is a wonderful idea, but what you’re trying to do just doesn’t quite work. The secretary is so compelling…why don’t you just stick with her?” So that’s what the work has been. In the last five years, I’ve been out on that booking circuit, at colleges and universities for one night or two night runs. I’ve done quite a few of those. I did put it on its feet, I think in 1999 at the Fremont Centre in Pasadena and it got a really good response. Then I put it away and five years later pulled it out again for rewrites. So, this new version will really be the first full run. It’s been a long process. Q: Let’s talk about your other play about Isadora Duncan. I was awfully young when I put that together. I saw the movie with Vanessa Redgrave; I was so inspired, I read the biography of Isadora. I wanted to take some of the writings from her autobiography and make a monologue out of it. I tried it out on workshop night at Theatre West and everyone said I should keep working on it. It worked into a 45-minute play that I put up for a couple of nights. I also tour with that. It’s a tough show to do, very physical. The last years of Isadora’s life were a real struggle, so it’s a challenge to play her. Q: Your husband Paul Gersten is directing Einstein. Is this your first collaboration? We’ve been working together the last seven years. Paul was a commercial food photographer for many years; now he’s teaching. He’s always directed theatre stuff, and it’s just been wonderful to do this together. Q: Who is your favorite writer? What jumps to mind right away is Samuel Beckett. Q: Why? What makes him an inspiration? I’ve always loved the absurdists. Many of my pieces tend to be absurd. I did a film with my son called Rope based on a short piece I wrote. It’s been out on the independent film circuit. It’s absurdist, very offbeat. I also love Chekhov, Anouilh, Pirandello. Sartre, No Exit. Since I was a young actress, I’ve always been attracted to the European writers and the more avant-garde stuff. I also love Christopher Durang, John Guare, Murray Schisgal. Q: Do you have a preference for comedy or drama? My sensibility is to find as much humor as possible. That’s my predilection. As an audience member, I love to laugh and to be moved. When you can do both, it’s really kind of wonderful. Einstein’s humor comes from the fact that Einstein was a very funny man. A real kibitzer, he loved a good joke. It’s very much in the spirit of him. Q: In short, what do you want us to learn from The Life and Times of A. Einstein? There was so much control over the Einstein image, kind of like over Tiger Woods currently. It’s now a known fact that Einstein was a womanizer. Who would have ever guessed? The secretary constantly shielded him and his personal life from the press. Her story is so impressive. She never married and took only one vacation during her whole lifetime. What devotion! Written and performed by Kres Mersky. Directed by Paul Gersten. Produced by Jill Jones. Season producer: Jill Jones. Theatre West executive director: John Gallogly. Presented by Theatre West. Theatre West is located at 3333 Cahuenga Blvd. West, in Los Angeles, CA 90068. This is in proximity to North Hollywood, Universal City and Studio City. There is FREE parking in a lot across the street. The play runs April 10- May 16, 2010. Saturdays at 8 p.m. and Sundays at 7 p.m.